Perfect addition to any medieval reenactment or costume! 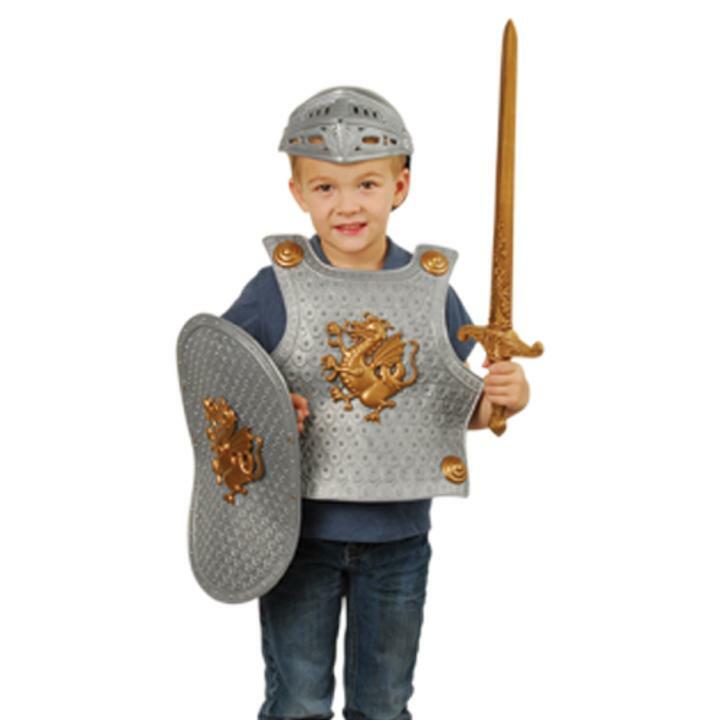 Re enact the noble crusades of long ago with this costume knight costume. Comes with breast plate , helmet, sword in sheath, and crested shields. Adjustable straps on the breast plate. This costume is also good for medieval reenactments as well. Find your Halloween or party costume at US Toy. We have economical costumes to fit any budget. Inspire imaginations and creativity with dress up or pretend play games using our wide range of costume accessories. L: 24.5 in. W: 7.0 in. H: 7.0 in.